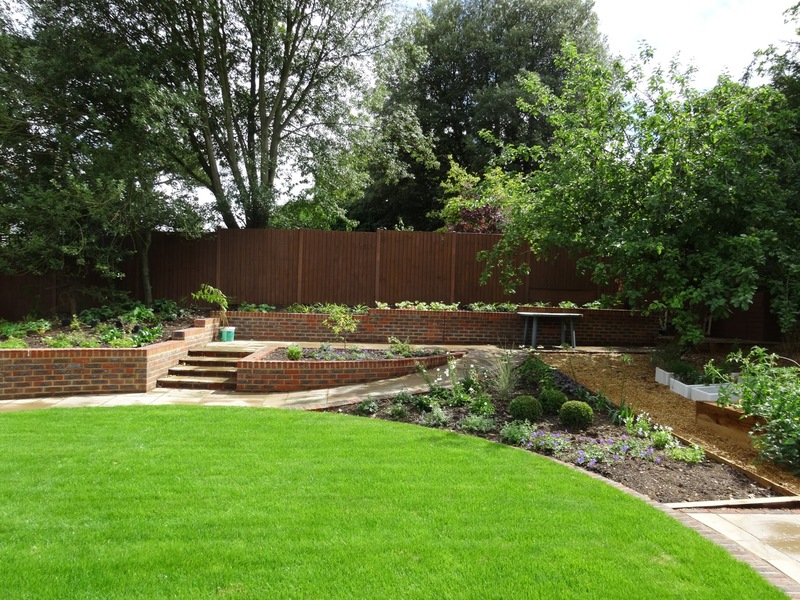 Whether using brick, block, timber or stone, walls are an important structural element in the garden. Frost proof bricks can be sourced to match your property or complement your design. Concrete block walls, rendered and painted create a fresh contemporary feel. 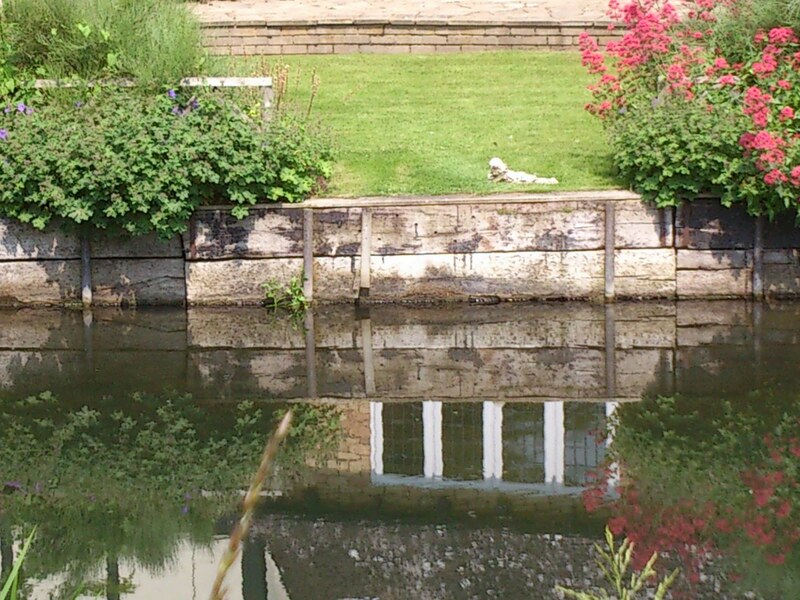 We have carried out several river bank retaining projects on properties backing on to rivers and waterways. This helps control bank erosion. Using reclaimed railway sleepers supported by scaffolding sunk into the gravel bed in front and behind this wall, we are able to stabilise the garden area behind the sleepers. 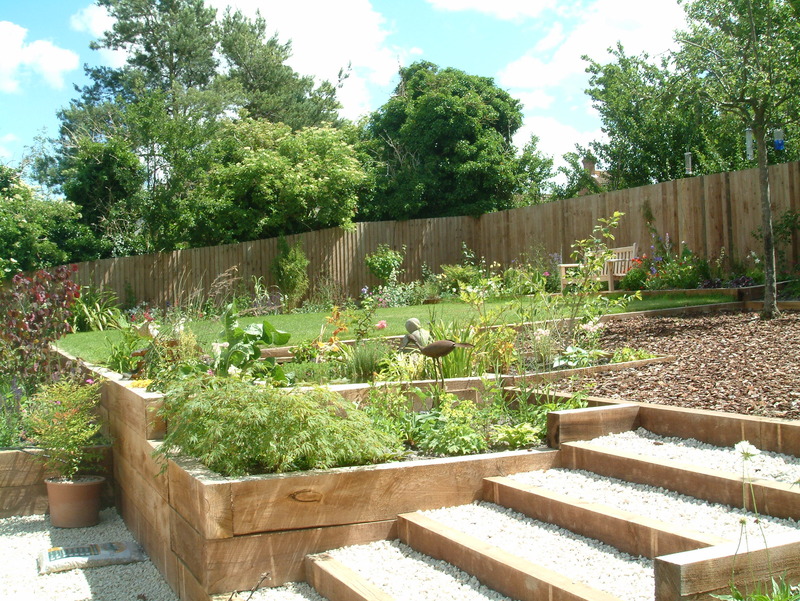 Raised beds are a firm favourite with gardeners. They can be constructed as large or as small as you need and like the brick walling these can be used to create divides or raised levels within your garden. Small raised beds and vegetable gardens also provide informal seating alongside patios.